Tiger Woods brought his comeback full circle this weekend, winning the Masters and taking home his fifth green jacket. It was a riveting weekend of golf, and a great day if you were a sports bettor. The most notable victory — aside from Tiger’s — was the $1.2 million win at the William Hill-run SLS sportsbook in Las Vegas. A person placed an $85,000 wager on Woods at 14/1 odds the Tuesday before the Masters. The wager was the single-largest liability for an individual golf wager in the history of William Hill US. 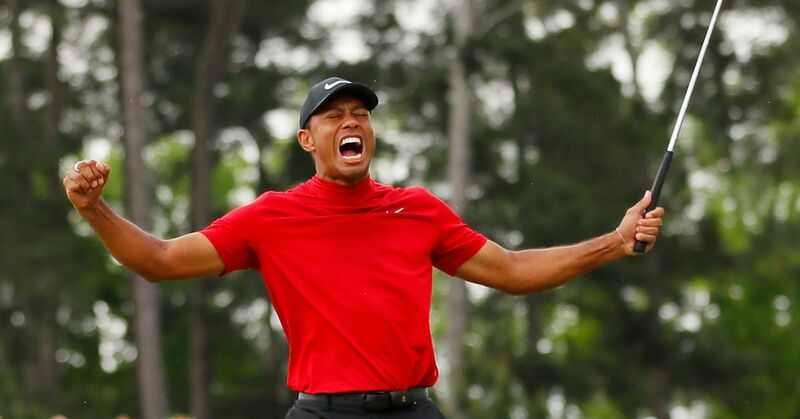 It was a strong day for bettors across the country who got in on Tiger mania heading into the Masters. FanDuel Sportsbook acknowledged a total payout of more than $3 million in various winnings and refunds. They had more than $1 million in liability from futures bets, $1 million prize payouts for their $1M Mega Eagle Daily Fantasy contest, and an additional $1 million in promotional refunds for that contest. DraftKings, the Westgate SuperBook and a host of other casinos acknowledged taking it on the chin over the weekend. They will all find themselves sitting on edge when the 2019 PGA Championship rolls around in May. Tiger has been installed as an 8/1 favorite, and it’s safe to say money will be pouring in for that and the other two remaining majors this year. While many sportsbooks took a bath over the weekend, most are well ahead in the big picture, and even newer sportsbooks will benefit financially in the long run. The Tiger effect has been a boon for other golfers over the past 22 years, and it holds up as well for sportsbooks. For every big Tiger performance over the past 22 years, there have been plenty of majors where he has come up short and a large chunk of futures bets have been lost. The Vegas books are still up huge on Tiger from all the action on him over the last 40 majors. Prior to winning the 2019 Masters, Tiger had failed to win in 28 consecutive major appearances. He’s not the only player to lose that many majors in that span, but no other golfer has regularly brought in big futures betting like him. Betting was likely down on him to some degree in 2014 and 2015 before back surgery cost him the next two years, but otherwise, he’s had enough solid showings to keep sports bettors thinking the next big win is just around the corner. Big money on 20+ majors more than offsets the big losses sportsbooks took this past weekend. And then there’s the coming surge of Tiger wagers for the PGA Championsip, U.S. Open, and British Open to close out 2019. For newly minted sportsbooks like FanDuel and DraftKings, they do not have ten years of Tiger coming up short to pad their recent losses. However, they do have the knowledge that he is probably not going to win every major this year and that means more winnings for the house. Speaking of which, it could get particularly interesting with some new prop bets that have popped up in light of Tiger’s win. FanDuel is offering three major specials for Tiger. You can bet on him to win two or more majors in 2019 (+150), three or more majors (+1000), or all four majors (+5000). I have no doubt they will get a decent amount of action on the three and four major options, and odds are strong the house will win. New and old sportsbooks alike will benefit from Tiger’s Masters victory with a host of new money coming in on his upcoming major appearances. So, never fear sportsbook fans! For the evil folks out there rooting for the house, they will live to fight another day!